Been playing the Mafia II demo on my PS3 and loved it. Looking forward to this one coming out, just need to trade some stuff in for it. Are we talking Mass Effect 1 here Soude? or Mass Effect 2? Aye that's the firt one... I'll play second when I'll finish this one. Rather good so far, pretty unsure how smart are my squadies cause they die often... hopefully I'm here to save the day. Once you start getting access to better armour (espcially those with shields), you'll find your squadmate's increased survivability makes up for their stupider moments. Looking forward to playing Halo: Reach when it comes out, absolutely love the trailer. Orign PC unveils a new all-in-one gaming rig. Have you ever dreamt of having an all-in-one gaming machine that consolidates a full gaming PC with your favorite consoles? Well, the designers at Origin PC have, and today announced the introduction of The Big O; a high-power gaming PC that features a built-in Xbox 360. Each PC comes with a built-in Xbox 360 'Slim', which can be played while the PC is running other tasks and software, and supports all of the same connections and features of a full console. While the built-in Xbox 360 is certainly the biggest selling point of The Big O, it is actually one of the fastest gaming rigs available. The entry level version of the system features an overclocked 4.0GHz Intel Core i7 930 processor, a liquid cooled Rampage III Extreme motherboard, dual NVIDIA GTX 480 GPUs, 6GBs of memory, dual 50GB SSD drives, a 2TB hard drive, Creative Fatal1ty sound card, and built-in Blu-ray burner. Sounds expensive? 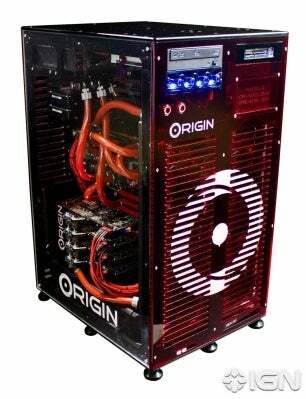 It is; Origin has priced the base configuration at $7,669. If that wasn't enough to break your bank, The Big O is also offered in the configuration used by CPU Magazine, which features dual Intel Xeon X5680 processors overclocked to 4.3GHz, an EVGA SR2 motherboard, liquid cooling, quad SLI EVGA GTX 480 GPUs, 12GBs of memory, four 50GB SSD drives, two 2TB hard drives, a built-in Blu-ray burner, and a built-in 8 channel HD audio sound card, at a price of $16,999. Have the cash to shell out for Origin's gaming powerhouse? 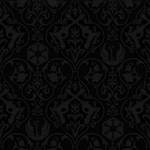 The company is now taking custom orders for The Big O starting today via their official website. Cool, I've just seen STEAM are offering Blood Bowl for just £4.25. Might have to give that a purchase. OK so I'm not actually playing this yet, but its PRE-ORDERED. I dunno about anyone else who purchased Battlefront 2 but I'm quite enjoying it. Especially considering I just got goosebumps playing as the Fett Man.